Haigh also points out that you can go into any bar and, if you dare, order one, and you will never get the right thing (he argues that this is the original version of the drink). 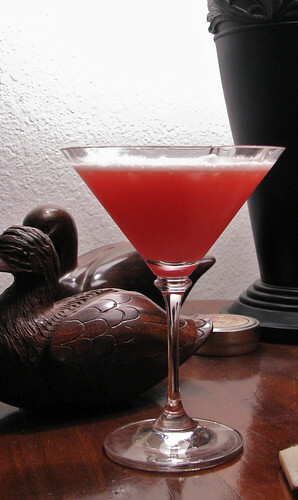 Cocktaildb.com has no less that seven versions of the drink, containing varying ingredients including cream. Yikes. So, unless you are on pretty intimate negotiating terms with your bartender, this is one probably best enjoyed at home. Shake vigorously and strain into a chilled cocktail glass. Garnish with something (lemon twist would seem like a good idea, though the picture in Vintage Cocktails has a cherry). Note… you really do need to give it a good shake with the egg white.